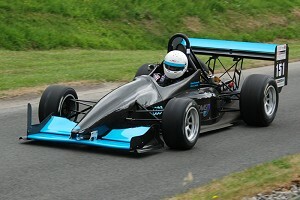 The newest car from Force is the TA which made its debut in 2017. It is a replacement for the Force PT (which is still winning and setting FTDs) and is intended to provide a cost effective entry level choice. The design process has built on the experience gained from the development of the PC and WH. 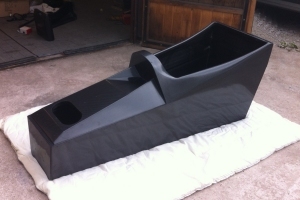 It features a fully autoclaved carbon tub, built to F1 standards by SPA Design, a single rear bulkhead, improved aero (wings and side pods) and the latest in modern computer aided suspension design. 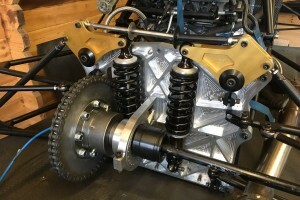 The Suspension geometry is focused on reducing input loads to wishbones and inboard structure by considering outboard vertical, lateral, and longitudinal offsets (upright geometry – mechanical trail, scrub radius, spindle length - high camber and toe stiffness), within packaging limits of components and practicality of manufacture." 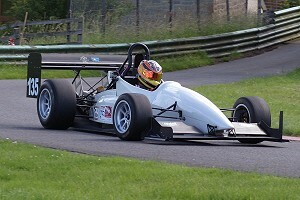 In its 1st season the Force TA has had considerable success, scoring points in the both the British Hillclimb and Sprint championship.